The Love Boat is back and better than ever! 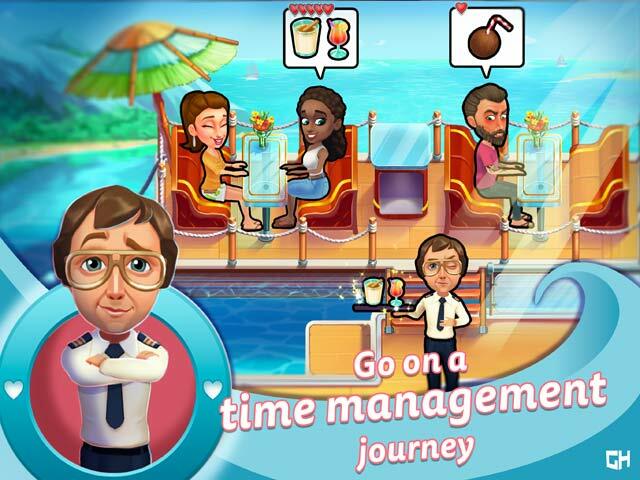 The famous TV show now has its very own time management game. Remember the days you drifted away with Captain Stubing, Julie, Gopher, Doc and Isaac? Relive those good old times in this brand-new title from GameHouse. Get swept away in this unforgettable trip down memory lane? Take a cruise down memory lane! 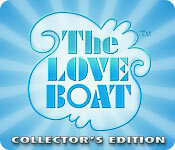 The Love Boat™ Collector's Edition is rated 4.2 out of 5 by 29. Rated 5 out of 5 by j9mattfield from I rarely write reviews, but am compelled to with this excellent game. For the first time, I have collected all of the trophies in a game! This game is full of fun! I watched every episode of The Love Boat so I really enjoyed hearing the theme music throughout the game and having the characters featured. I even enjoyed the canned laughter! To be honest, even though I own all of the Delicious games, I have only completed one of them. I get bored. I have already played this one completely through twice. And I'm ready to play it again. I had to play a few levels again after I finished the game to get all of the trophies because I didn't check my trophy progress until the end of the game, but I'm thrilled that I got them all. This is a big deal for me! This is an awesome game. Thank you BFG!! Rated 5 out of 5 by thegroovychick from A Fun Game! I really enjoyed this game! As a Delicious fan, it is one of my favorites. I can see myself playing it over and over. It did freeze for a second here and there though. The challenge level was perfect. I had to play a couple levels over to get three stars. The story is good. I like the way it skips around to different locations. I loved the canned laughter! I would highly recommend it. Rated 5 out of 5 by treyinga from Come Aboard, Good TM Game There was a lot of disappointment with the last Delicious game and I think it was because they were working on this game. I am note sure for someone younger who does not remember watching the show that it would be as relevant. For someone like me, the fact that they used the same characters is fantastic. You are seeing a lot of people say disable the laugh track...ok, I kept it but turned it down. It reminds me of those old sitcoms. As with all games from Delicious, this is not the most difficult TM game, but the story line keeps me involved and makes me more motivated to finish levels. This time they let you buy different costumes for the mouse, which I kind of liked. There are no minigames, but I can take or leave those. Overall, this was highly enjoyable and I recommend, especially if you have played and liked any of the other delicious series games. Rated 5 out of 5 by ringcat from fun game I really enjoyed this game. 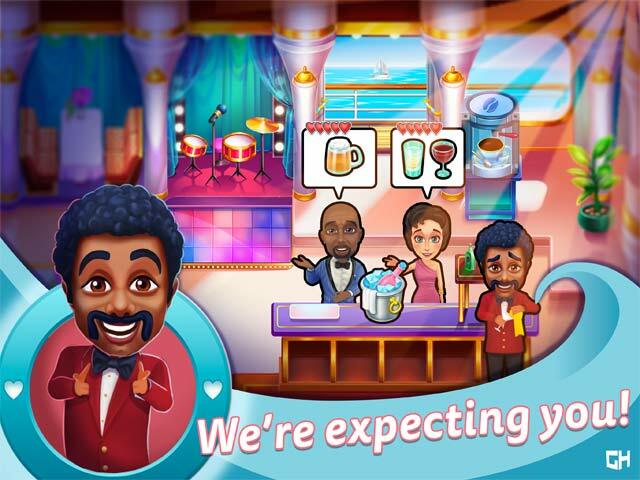 good story line and fun levels, nice change for time management games. I would highly recommend the game for anyone that enjoys time management games. especially if you enjoy the delicious Emily games. Rated 5 out of 5 by sherrigee from The Cutest Game! I can easily say I love all of the Delicious series games but this offshoot of it was the cutest one, ever! For those of us who grew up watching The Love Boat on TV, you will not be disappointed! 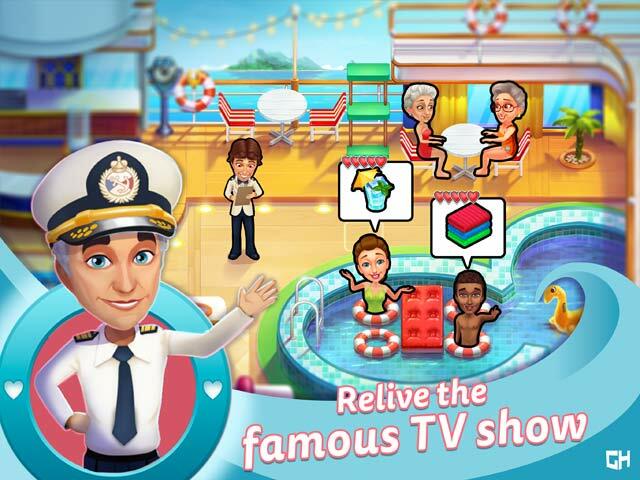 The characters in the game not only look like their TV counterparts, but the personalities were captured as well! While the challenge level wasn't difficult, this was super fun and cute. I hope the Delicious series can expand even further and incorporate even more games based on TV shows. VERY cute! Rated 5 out of 5 by mattslamom from Not a waste of time I absolutely loved this game! It has 60 levels and as you progress they get harder let me tell you. I am still trying to finish the last bonus. There are some familiar faces, Emily and Angela, but several new ones as well. Many of the younger players have never even heard of "The Love Boat," but back in my day, that campy show was a staple in many households. I hope they make it a series, like Delicious. Highly recommend. Rated 5 out of 5 by boogienites from Love these games! Although the game play is exactly the same in each of the developers' previous games, I still love to play them and read the story to see how it ends. I do get a bit frustrated in levels that are almost impossible to achieve 3 stars until playing several times, but isn't that the point of time management games? If it were easy, what would be the point? Anyway, I love the challenge. I recommend this game for those who have patience and like to get all the achievements, no matter how difficult.